The link in this post is an Amazon affiliate link. If you click on it & make a purchase, I will receive a very small percentage – like a few cents. However, this does not affect the price you pay or my opinion about this item. 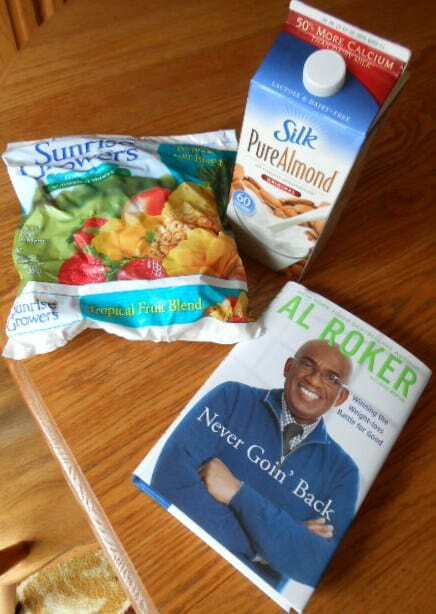 I just recently bought Al Roker’s new book Never Goin’ Back – Winning the Weight-loss Battle for Good. I haven’t had a chance to read much of it yet, but was pleasantly surprised when I flipped through it and saw that he has several recipes, including smoothie recipes. I absolutely LOVE Al Roker and can totally relate to his lifelong battle with weight. I totally admire him for doing what he did by taking the plunge to get gastric bypass surgery and taking control of his weight once and for all. I know, after seeing him on interviews about the book, that after his surgery he fell off the wagon for a little while and gained back 50 pounds. So you can cheat the system and still gain weight after gastric bypass. His book is about coming to the realization that there really is no quick and easy fix to weight loss, especially when you have a significant amount of weight to lose. It takes a total dedication to a lifestyle of eating healthy and exercising. Something that I could definitely use a refresher on right about now. I wanted to try one of his simpler recipes first. This one is so simple, you don’t even really need to write it down. The only ingredients are almond milk and frozen fruit. His recipe says 4 oz (1/2 cup) of each of the milk and the fruit. I used 1 cup of each and actually added in a little extra milk because my blender wasn’t cooperating and needed more to get it going. Now, if I had Terri’s Ninja Kitchen System, it would have gotten ‘er done. I used Tropical Fruit Blend frozen fruit that I bought from Walmart. I also used the regular flavored Silk Pure Almond Milk. They also had vanilla flavored at Walmart, but decided to try the regular first. Overall I really like the smoothie. I wouldn’t rate it the very best in taste. I of course like something creamier and more stick-to-your-ribs, but then it probably wouldn’t be healthy. I can assure you that this smoothie is very healthy and probably not that many calories. Unfortunately the book doesn’t include nutritional information on his recipes. However, I love that this book not only has smoothie recipes but also has breakfast, lunch/dinner, salad, soup, side dish, dessert, savory snack, and shake recipes. He also has a page on “The Smart Way to Snack”. Other things I’ve added to my smoothies in the past to amp it up a little bit are honey and protein powder. You can get flavored protein powders in chocolate and vanilla. I’ve even seen recipes (not in Al Roker’s book but magazines) that include oats and flax seed. I haven’t gotten that adventurous yet. 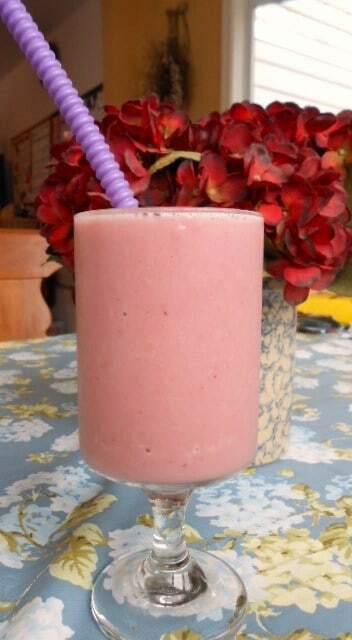 But I do luvs me some smoothies and am open to trying new things to add to them. So give it a try and see what you think. It’s a nice alternative to the same hum-drum breakfast and is great on-the-go. Do you have any good, healthy smoothie recipes that you can share with us? Please comment and let us know. 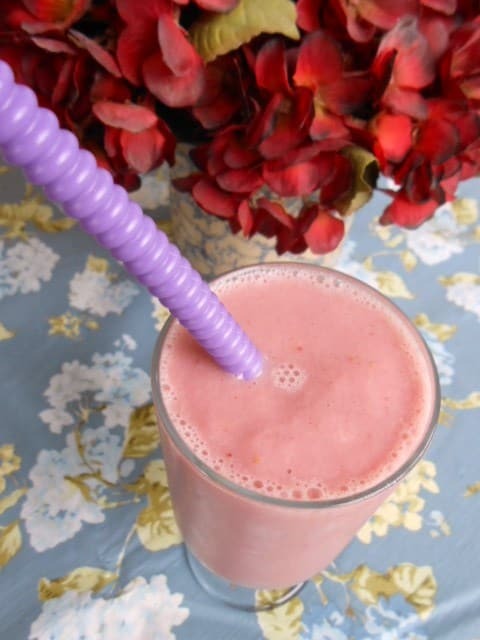 Here’s to a smoothie kinda day! Cheers! 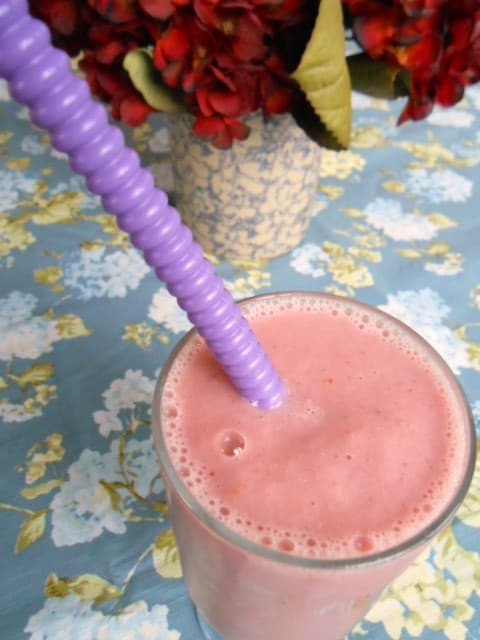 Just keep experimenting because smoothies are such a nutricious way to fill up–yum. I also love Al’s new book! Thanks Cheryl. I will. 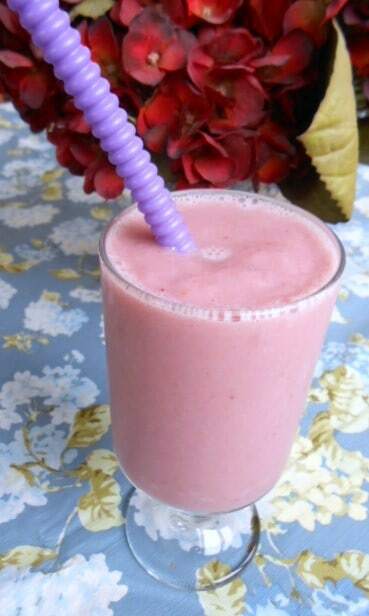 I love smoothies. Great way to get a lot of fruit in. The almond milk barely has any protein in it. Soymilk is a better choice, or even regular lactaid milk.